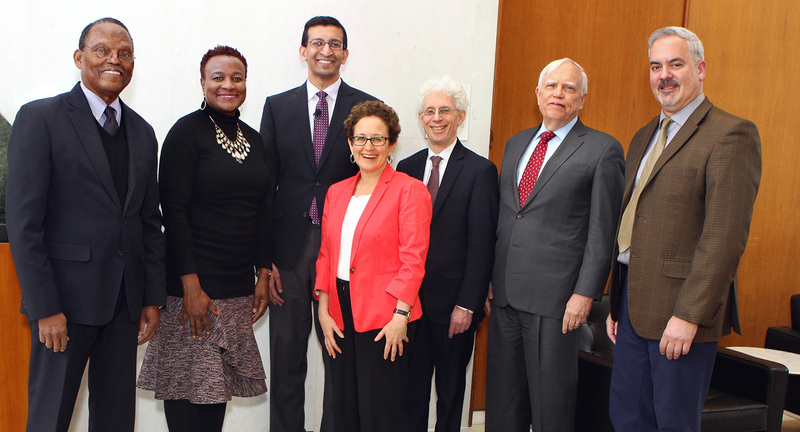 On March 27 and 28, Professor Raj Chetty delivered the Tanner Lectures on Human Values at Princeton and focused his talks on recent research findings showing how upward mobility and economic outcomes strongly diverge based on race. The Tanner Lectures are presented annually at select universities around the world; speakers present scholarly and scientific learning relating to “the entire range of values pertinent to the human condition. The lectures came on the heels of a March 19 New York Times article recounting Chetty and his co-author Nathaniel Hendren’s new findings showing how race currently shapes opportunity in the U.S. Using census data, the study (joint with Maggie R. Jones and Sonya Porter) used vast administrative datasets to study the lives of 20 million children born between 1978 and 1983. The findings were stark: The effects of racial discrimination are felt across class lines. 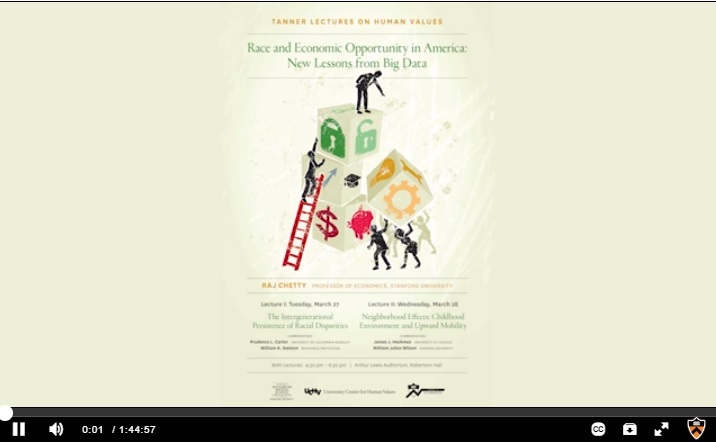 The lectures, entitled “Race and Economic Opportunity in America: New Lessons from Big Data,” began with Chetty’s presentation and was followed by comments from scholars including, Prudence Carter, Dean and Professor of the Graduate School of Education at the University of California, Berkeley; William Galston, the Ezra Zilkha Chair and Senior Fellow in the Brookings Institution’s Governance Studies Program; William Julius Wilson, the Lewis P. and Linda L. Geyser University Professor at Harvard; and Nobel Laureate James Heckman, the Henry Shultz Distinguished Service Professor of Economics and Public Policy at the University of Chicago. Chetty discussed how the sharply different rates of upward income mobility by race lead to economic disparities which continue across generations. Chetty also demonstrated how children’s opportunities to earn more than their parents did before them varies significantly depending on the neighborhood where they grow up.